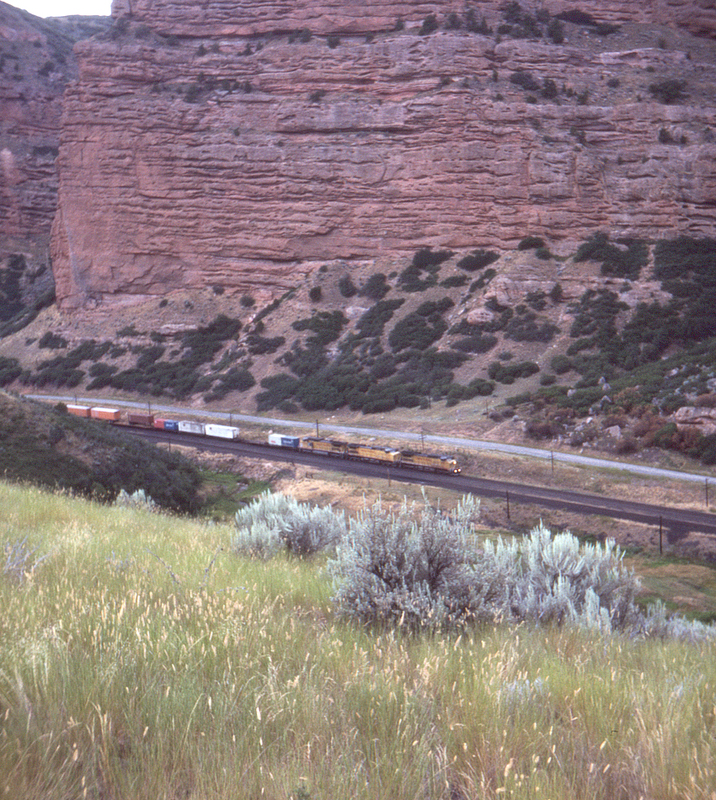 Just east of Echo, Utah, Interstate 80 features a convenient rest area with an elevated pavilion, providing a spectacular view of the Union Pacific's ascent of Echo Canyon. Here an eastbound freight passes the camera; note that left-hand running is already in effect here. Echo Canyon Road can be seen on the far side of the tracks.